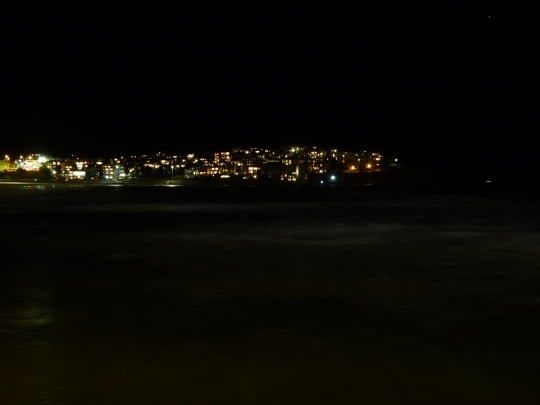 so, if you’ve sent me an email over the last few months, I apologize here and now for not answering–and sadly, I can’t promise that I will any time soon. I literally have hundreds waiting to be answered. 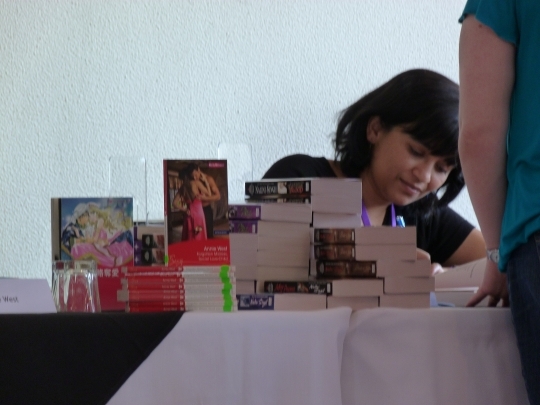 Of course, I still haven’t put up my next web contest, but I do plan to do that before I leave for the Romantic Times convention on Saturday. 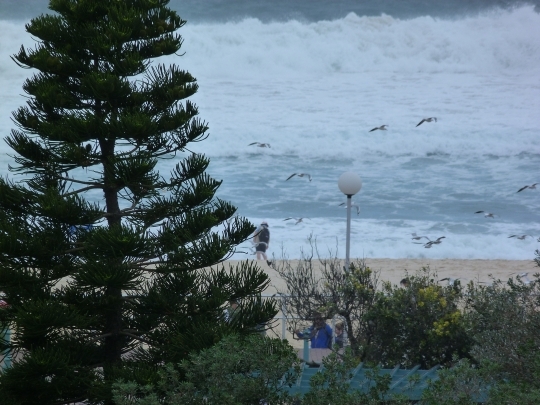 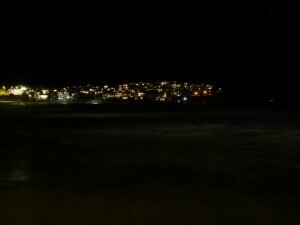 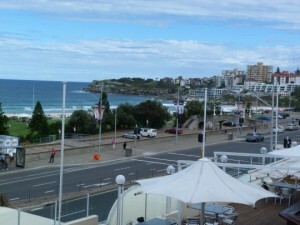 In the mean time, here’s some pics I took of Bondi Beach when I was up there at the ARRA conference last weekend. 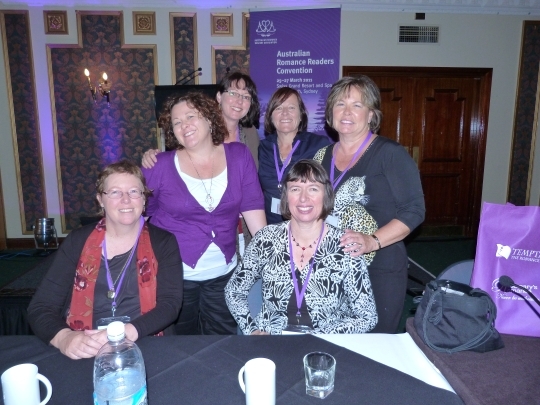 From left to right, Bronwyn Parry, Paula Roe (standing), Kelly Hunter, myself, Cindy Gerard, and Annie West (sitting). Taken after the This Other Time panel.